By Tania Suárez, in Madrid | Things are getting even more difficult in Spain. First, the recently announced measures of adjustment, then the protests from the mining industry and now it is the turn of the Spanish regions. 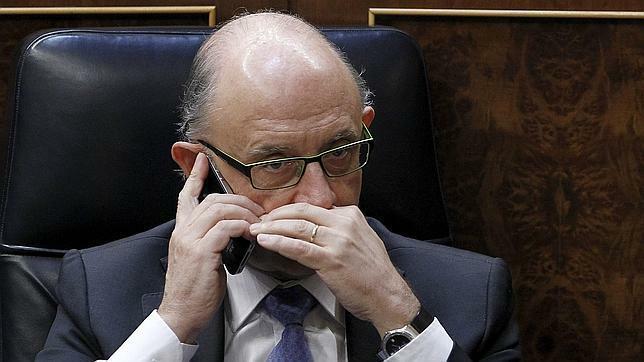 Minister of finance Cristóbal Montoro said that he wouldn’t be as permissive as Brussels has been with Spain; that the government will not extend the period for the regions to achieve the fiscal consolidation (i.e. to reduce their public deficit). Furthermore, Montoro has asked for further adjustments. In practice, these declarations by the Spanish Minister mean that the governments of the regions will have to adjust to a ceiling of 0.7% deficit for 2013.
the City of Madrid have seen these declarations kind of contradictory: how is it possible that the Spanish government is continuously asking Germany for the approval of the Eurobonds, but at the same time it refuses to accept the so-called “Hispabonds”? “because it would be useless to increase the deficit target if the regions are unable to finance it.” He also thinks that “those decisions are not something extraordinary; they even make the Hispabonds to lose heart.” This analyst thinks there should have been additional cutbacks and adjustments. No region shall exceed the 1.5% public deficit for 2012. No region shall exceed the 0.1% public deficit for 2014. However, this new step has sparked the rejection of the Spanish regions. These new target deficits have been endorsed by some regions, but there was no unanimity, and regions such as Andalucia, Catalonia, Asturias and Canary Islands have voted against. Even in those regions where the Partido Popular is in power, like Castilla y León and Extremadura, the regional governments have abstained because they consider the measures too hard.